Create Pretty Blog: Easter around here! There is something so fresh about the Spring. I don't know what I'd do without our four seasons. Winter is such a sleepy dreary time (especially after Christmas) but there is so much hope looking forward to Spring! I love throwing the windows open in the house, packing away winter clothes, and freshening everything. The irony? I also love Fall, and Fall clothes, and packing away Summer stuff! I guess I just like the change in scenery/seasons. There is just something super special about Easter. I LOVE that it falls so early on the calendar this year because it makes me feel like Spring and warmth is coming earlier. 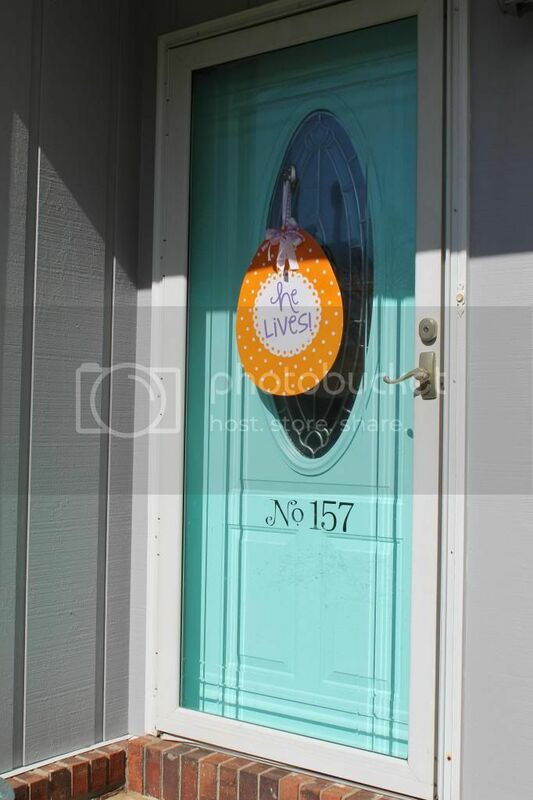 So in honor of Spring starting yesterday I thought I'd share some ways I brightened it up around here. 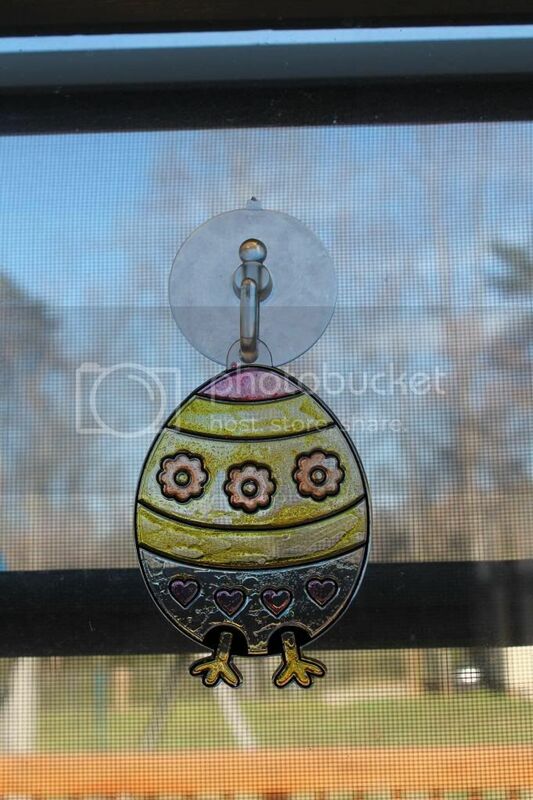 Last year at the end of the season (and before I boycotted Walmart) I picked up an egg shaped placemat at 75% off. I believe it was 25cents. I knew I could do something with it, I just wasn't sure what. I always love when I buy things at the end of the season on clearance, pack it away and forget about it until the next year! It's like going shopping, without the going and without the spending! 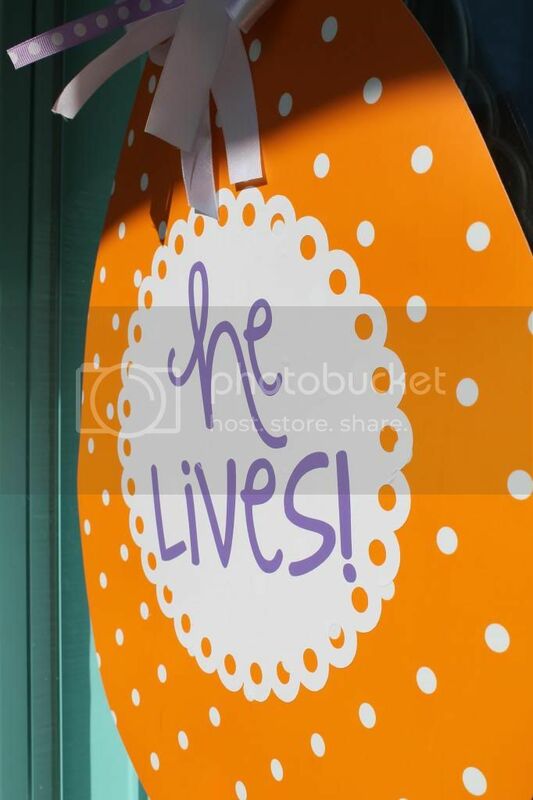 I used my Silhouette to cut some white vinyl for the background and "He lives!" in Strawberry Limeade font (I think?!). It's sad that I forget so quickly. 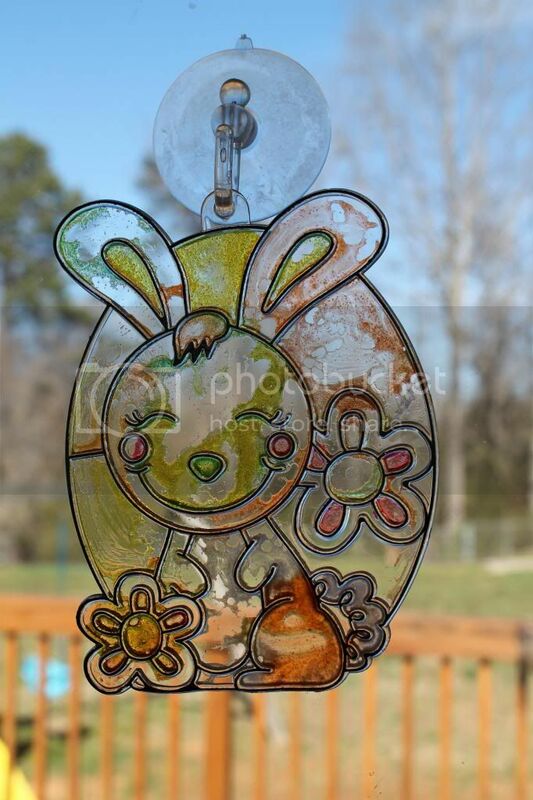 I also picked up some sun catchers last year knowing that Luke would probably be old enough to paint and enjoy them. We sat down and had a painting party one afternoon. He like it, but didn't really care about the colors. He just wanted to mix them all together (which was fine by me). I know I'll love looking back on these crafts and miss his innocence! He loves looking at them. Maybe next year I'll make bright blue/yellow pillow covers for the couch to brighten it up. I have some fabric I've been dying to use! Also while we had the paint out I went ahead and made his Christmas canvas that I am 3 months behind on! We made one for his Nana for Christmas, and I wanted one after I saw how cute hers turned out. I had all the supplies just no energy. 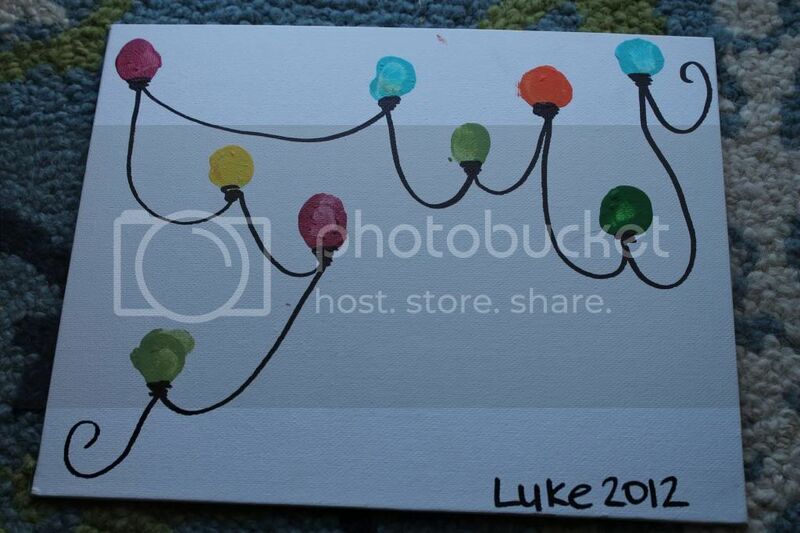 So while we painted Easter sun catchers we finger painted a strand of Christmas lights! And in keeping with the REAL meaning of Easter I'll be back at the beginning of April to share how we celebrated it. We do Easter baskets but try to stay away from the Easter bunny. Yes I still make my husband an Easter basket and he'll be 30 this year. :) Although eggs and candy are fun, I've also enjoyed reading the real story of Easter to Luke from his books and Bible. It'll be a couple of years before it sinks in but I want him to associate Easter with it's true meaning.